A World of Warcraft petition requesting a new in-game character based on late actor and comedian Robin Williams has been successful. That may seem strange at first, but Williams was reportedly an avid World of Warcraft player. 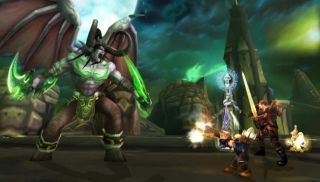 According to the petition page, Williams used to play on the Mannoroth server, and "was something of a troll in trade on good days or when anonymity [was] allowed." "Mr. Williams said in interviews that he took his World of Warcraft characters very [seriously]," the petition description reads. "In fact, he was well known for being an extreme PC builder who preferred to build his own overclocked and super-cooled systems. He often joked about his WoW addiction but also about the reactions he'd get from other gamers when he admits he plays the game." Barely 24 hours after the petition commenced, Technical Game Designer Chadd Nervigg announced on Twitter that Blizzard was working on it. If the studio selects to follow the petition's wishes word-for-word, a new character based on Williams will deliver jokes in the Worlds End Tavern. "It is with a growing sense of pride for the world of warcraft community that I declare victory for this petition," organiser Jacob Holgate wrote. "In less than twenty four hours we've earned eleven thousand signatures, a huge amount of traction on many gaming and new outlets, as well as assurance from Blizzard employees that our desire for a Robin Williams tribute and or NPC will be handled with great care." Robin Williams passed away in his home on August 11. He was a passionate fan of games, even naming his daughter Zelda after the Nintendo character.